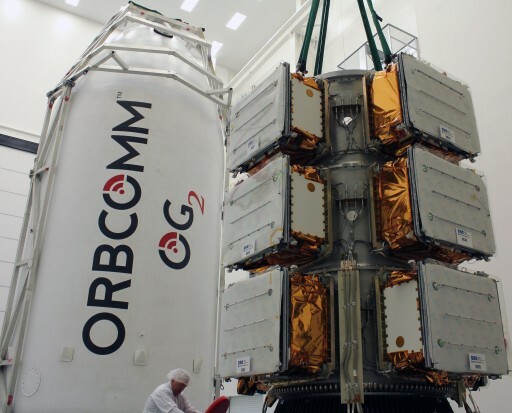 Orbcomm G2 is the second generation of satellites forming a Low Earth Communications Infrastructure operated by Orbcomm building on the success of the Orbcomm demonstration mission and the operational first generation of satellites. Overall, 45 Orbcomm satellites were launched to date with 44 still in orbit. Orbcomm provides a wide range of machine-to-machine M2M communication services for all branches of industry and government, providing relay of small data packets at low latencies from mobile transmitters to ground-based terminals. The company uses a multi-network approach – acting as a global satellite network operator, a provider of cellular service and integrator of third-party satellite networks using leased capacity. Examples of Orbcomm applications include the transportation industry specifically trailer and container tracking, cold chain monitoring and cargo security – on a global scale. Monitoring of remote equipment such as oil and gas rigs, deployed heavy machinery for position & performance information, data acquisition from remote assets, and data collection from deployed scientific equipment is offered by Orbcomm as well as sea vessel tracking using the Automatic Identification System (AIS). Orbcomm’s website provides a detailed overview of available services and equipment. Orbcomm launched its very first satellite in 1991. Known as Orbcomm-X, the small 22-Kilogram satellite was to demonstrate communication and GPS equipment, but the vehicle failed after just one orbit. The two Concept Demonstration Satellites launched in 1993 each weighed 14 Kilograms and included communications equipment for a demonstration in orbit before the first operational satellites were launched. A total of 35 first generation satellites were launched between 1995 and 1999 using the Pegasus and Taurus launch vehicles, establishing the operational satellite constellation for the Orbcomm global communications infrastructure. In 2008, five Quick-Launch Satellites were launched atop a Kosmos-3M rocket along with the third Capability Demonstration Satellite. All satellites failed quickly in their mission due to a power system anomaly. 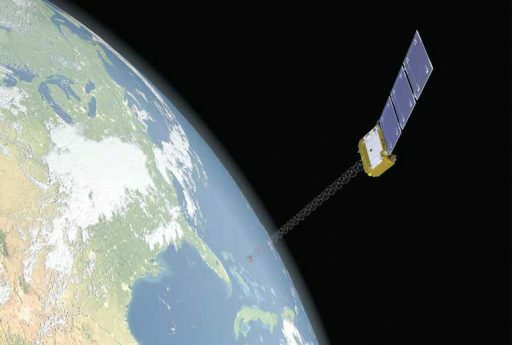 A number of satellites in the first generation of Orbcomm spacecraft have been retired due to declining systems health, causing higher data latencies. 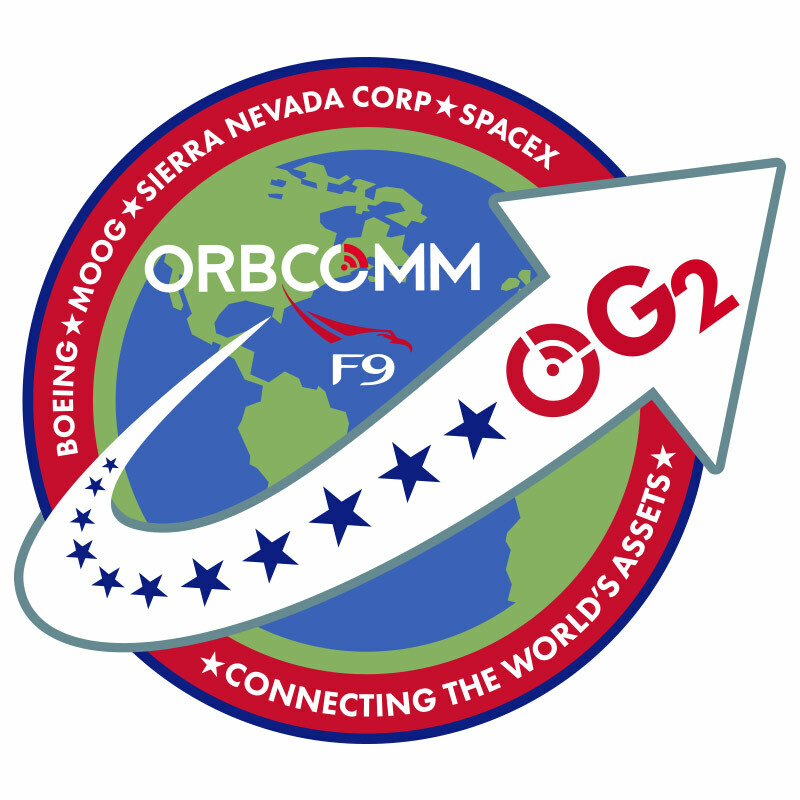 In 2008, Orbcomm selected Sierra Nevada to build 18 Orbcomm Generation 2 (OG2) satellites with an option for a further 30 satellites to augment and upgrade the second generation once established. 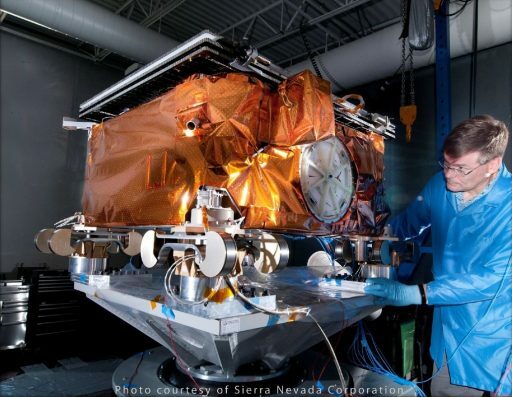 Sierra Nevada has formed an integrated space team that includes Boeing Intelligence and Security Systems, ITT Space Systems and MicroSat Systems as well as other subcontractors to provide systems engineering, management and integration for the OG2 program. 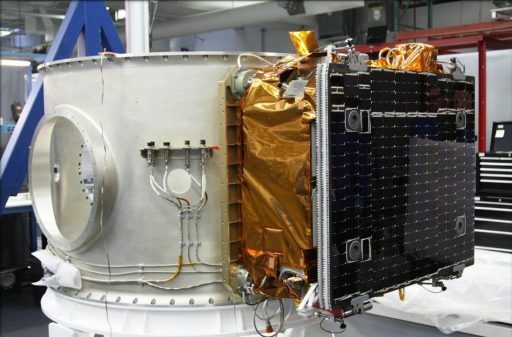 Argon ST was selected to develop and manufacture the satellite payloads for the OG2 spacecraft with the specification of increasing the capacity by up to 12 times over the OG1 satellites – increasing both, data rates and data packet sizes while also supporting the signals and ground terminals used by OG1. All OG2 satellites carry Automatic Identification System (AIS) payloads to receive and report transmissions from maritime vessels. In 2009, Orbcomm selected SpaceX and its Falcon 1e launch vehicle to launch the 18 OG2 satellites between 2010 and 2014. 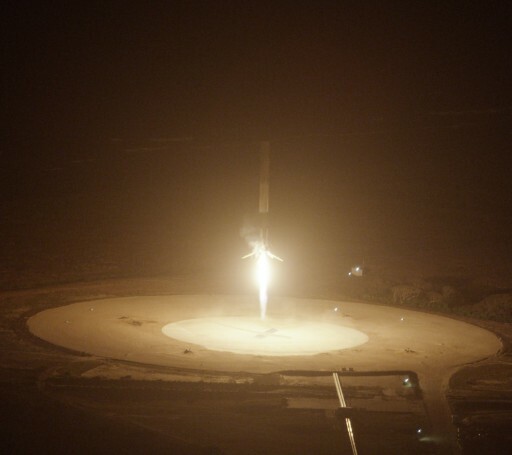 Plans were revised in 2010, switching the OG2 satellites to the Falcon 9. The first OG2 satellite was launched as a secondary payload on the first operational Dragon Launch to the International Space Station. 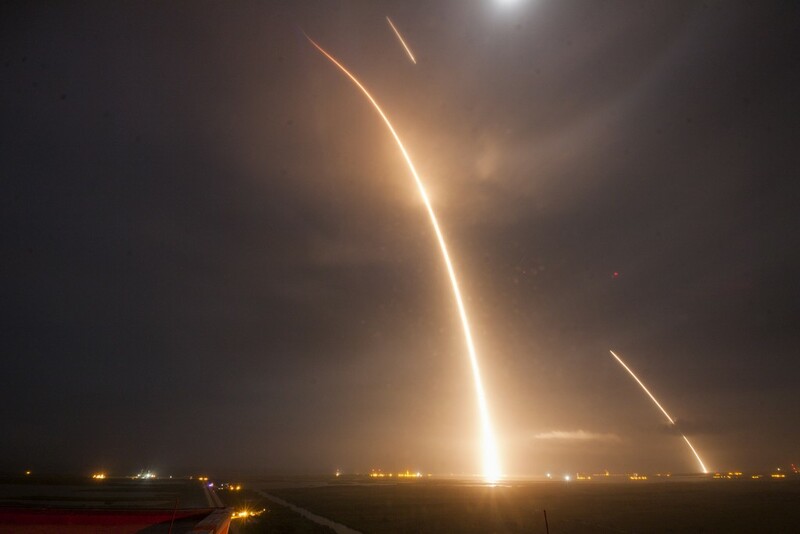 On that flight, Falcon 9 experienced a problem with one of its first stage engines and required additional performance from its second stage to reach the injection orbit of the primary payload. Not passing a fuel-level check, the second stage did not perform a second engine burn and released the satellite into the low injection orbit. Headed for re-entry just two days after launch, the first OG2 satellite could only be used to demonstrate the basic satellite systems such as power generation and distribution and some functional tests of the communications payload. 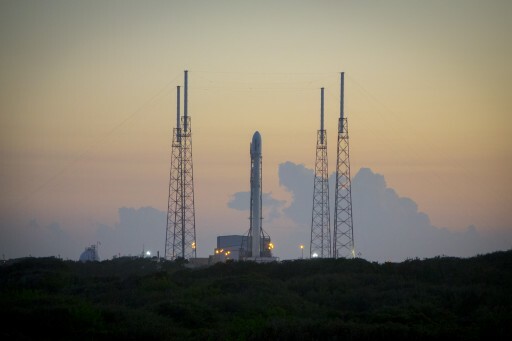 The deployment of the remaining 17 OG2 satellites is planned in 2014 using two Falcon 9 v1.1 launches – one carrying six spacecraft and the second with 11 satellites. 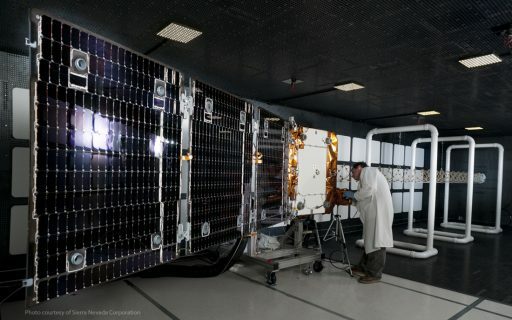 The Orbcomm G2 satellites use Sierra Nevada’s SN-100A satellite platform – a low-cost three-axis stabilized modular satellite platform that allows for a rapid integration and call-up. Overall, each OG2 spacecraft weighs 172 Kilograms and measures 1 by 1 by 0.5 meters in its stowed configuration and 13 by 1 by 0.5 meters when fully deployed in orbit. The satellite uses a single deployable solar array consisting of three panels that feature triple-junction Gallium-Arsenide solar cells to deliver a total power of 400 Watts. Spacecraft power is stored in batteries and distributed by a dedicated system. On average, 250 Watts are available for the communications payload while the rest is consumed by spacecraft systems. The satellite is three-axis stabilized with an attitude knowledge at an accuracy of 0.6 degrees and a control precision of 0.1 degrees. The attitude control system of the spacecraft can support slew rates of under one degree per second. The use of a precise pointing system is not required for OG2 to fulfill its communication requirements. A hydrazine propulsion system is installed on the spacecraft for orbit adjustment maneuvers and orbit maintenance providing a delta-v budget of more than 100 meters per second for each satellite. Because OG2 satellites are launched in groups of several spacecraft, they require propulsion systems to place the satellite into different nodal planes to begin operations. The SN-100A platform allows payload data downlink rates of 1 to 310 Mbps and telecom data rates of up to 4 Mbps for up- and downlink. The platform hosts 256 Mbytes of volatile and 16 Mytes of non-volatile memory. The payload of the OG2 satellites is a VHF communications terminal featuring a Helical Quadrifilar antenna with an 8-meter long boom that is 25 centimeters in diameter. Orbcomm satellites operate at frequencies of 137 to 153 MHz. The OG2 satellites will operate from a circular orbit of 750 Kilometers at an inclination of 52 degrees with the satellites in different planes to achieve timely global coverage. Each OG2 satellite is expected to operate for at least five years. 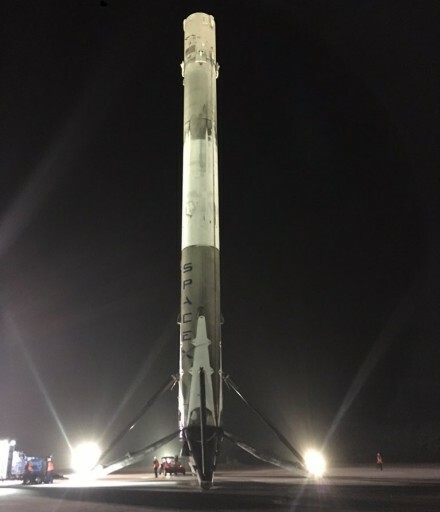 Copyright © 2019 Falcon 9 – Orbcomm G2 Flight 2 | Spaceflight101. All rights reserved.